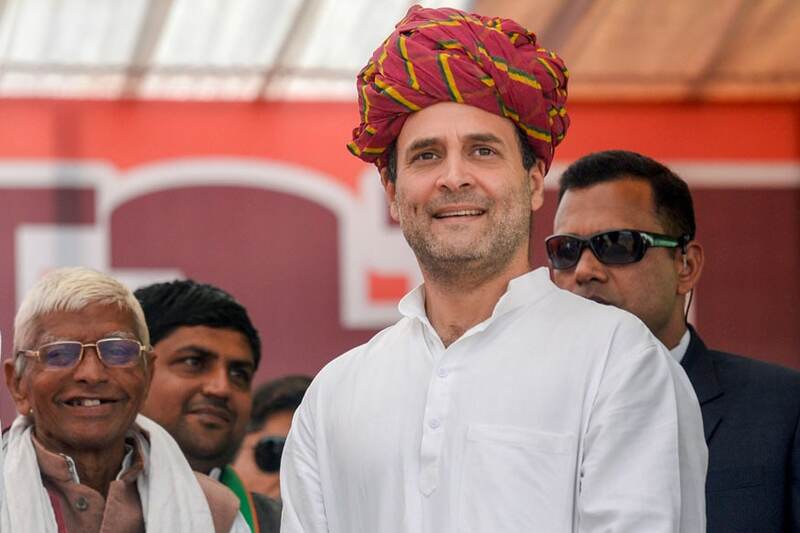 Bhopal: Kicking off his poll campaigning in Madhya Pradesh, Congress president Rahul Gandhi will visit Bhopal to address the ‘Kisan Abhar’ rally on Friday where he is expected to announce a number of sops in the agricultural sector. This will be Rahul’s second Bhopal tour after the Congress party's victory in the Madhya Pradesh Assembly elections. During his November rally, he had promised farm loan waivers if his party was elected to power. Besides election sops, the Congress chief will interact with the farmers and seek their feedback on the implementation of the loan waiver scheme. Terming it as a "thanksgiving rally”, the Congress said that during the event, the party will announce multiple schemes such as a monthly unemployment allowance of Rs 4,000 and minimum 100 days of work annually for the youth and the ambitious scheme of slashing the electricity bills by half as per the election manifesto. However, the focus will remain on farm loan waivers. The Congress president is expected to arrive in Bhopal around 1 pm and would head to the historical Jumboorie Maidan where he would address the farmers. CM Kamal Nath and his cabinet colleagues would also be present at the rally. Meanwhile, BJP rebels including Ramkrishna Kusmaria, a former minister in Shivraj government, will join the Congress in the presence of the party president. Kusmaria is a Bundelkhand strongman who had rebelled against the BJP during assembly polls after he was denied a ticket. He had contested from Damoh and Patharia but lost from both the seats. Security has been beefed for Rahul’s visit and as many as 2,500 police personnel have been deployed. The MPCC is also illuminated and decked up with posters calling Rahul the ‘future PM’ and a ‘Rambhakt’. After emerging victorious in the assembly polls, Congress hopes to improve its present tally of three Lok Sabha members from Madhya Pradesh in upcoming Lok Sabha elections. Prime Minister Narendra Modi will launch the BJP’s poll campaign in MP on February 15 at Hoshangabad and would address a rally at Dhar on February 16.